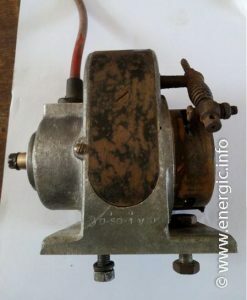 Energic motoculteurs models B1, B5, C7 and D9 used the brand Novi Magnetos from 1929/30 to 1939/40. 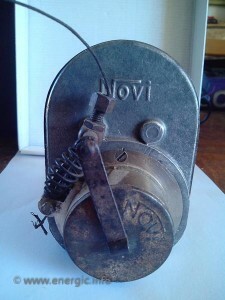 As Novi was a synonymous brand supplier to Motobecane. (After that date on the new in house manufactured models 409 & 411 models the magneto manufacture was changed to either Morel or Lavalette to ensure supply and price competitively). 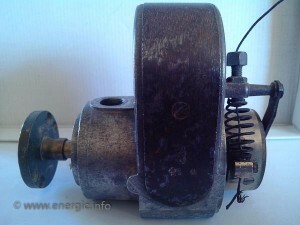 Energic motoculteurs B5, C7 and D9 models used different versions of the Novi Magnetos depending upon the age of the motoculteur. Before and including the 407/408 models, they used the longer type 114 and H-50- , both with a mechanism to advance or retard the ignition timing. 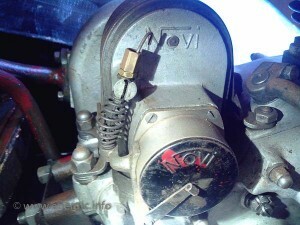 Later the newer smaller type M511(VD), used a static ignition spark delivery, and was available on the S Bloc moteured motoculteurs. 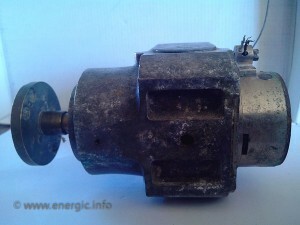 Sometimes these models where interchanged as a replacement part. Standard old type, bottom view with advance. Odd ball Newer type with advance. adjustment/stop.